This Wayward Pines post is written from the point of view of someone who has not read the books the series is based on. As such, spoilers are strictly forbidden. Any spoilers in comments will be deleted on sight. Remember: Discussions of things that were different in the books or confirmations of things that won’t happen count as spoilers, too. Have you read the books and want to discuss what’s coming? That’s what our Spoiler Space is for. In the end, it turns out David Pilcher has been lying all along, maybe even to himself. He doesn’t want an end to the violence, or a stable society, or even for humanity to go on. No, what he wants is to be in charge. And that takes precendence over everything else. If he can’t be the mastermind of humankind’s future, then he doesn’t care if humankind has a future. And he’s willing to sacrifice all that he’s built—and the entire human community living in it—to retain control. The Reckoning that begins and closes out the episode turns out to be a Reckoning, after all—just not for Kate. No, it’s all of Wayward Pines that has been put on the expendable list, a sacrificial lamb on the altar of David Pilcher’s ego. When Ethan tells everyone the truth, aided by Kate, Theresa, and the others whom Theresa managed to pull into the underground outpost prior to the Reckoning, the news is taken with an almost resigned air, the veil of ignorance lifted from their eyes. Most people, it seems, had their suspicions about the town, but preferred to look away, to live in fear, then confront those feelings. Even those whose refusal to capitulate to the fearmongering and surveillance—the resistance—finally acknowledge what they’ve refused to believe until now. The sole voice of outrage isn’t even somebody denouncing these as lies. No, it’s Mrs. Fisher, castigating her neighbors for failing to fully appreciate what Pilcher has done for them. When she’s finally silenced by Theresa’s slap in her face, the community feels, at long last, like a community again, joined in common understanding. Right up until the lights go out. Every episode of Wayward Pines has featured at least one jaw-dropping moment, and ”A Reckoning” is no exception. 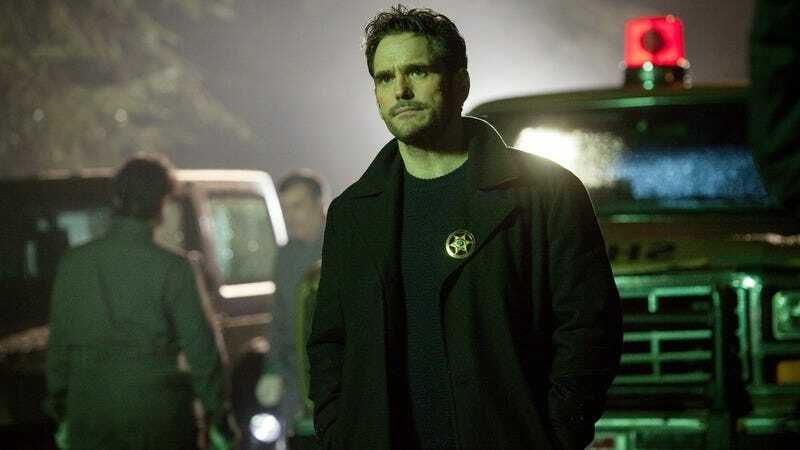 When Jason, self-proclaimed member of the first class of Wayward Pines High, pulls the resistance out of their cells and kills them, one after another, via shotgun blasts to the head, it’s a shocking and unnerving sequence, the kind of thing most shows would tease as an act break, only to come back after the commercials and pump the brakes. Not this show—it pumps the shotgun instead. Even knowing the end is rapidly approaching, I hadn’t expected the series to go to such a dark place. It’s a troubling concept: Ultimately, the biggest threat to humanity doesn’t come from the Aberrations, but the people themselves, turning on one another. The police stations executions were deftly set up, however, by the events that came before, so that the killings weren’t out of nowhere so much as expertly intimated by the pacing and camerawork. Director Nimród Antal deserves credit for building suspense progressively, from the creepy Hitler Youth-style rally of the children in front of the hospital, to the earlier stand-off between Arlene and the kids in the police lobby. Jason and his friends are shown as a genuine threat; when Sean’s hesitation and fear lead him to join Kate in trying to talk Jason down, the subsequent violence makes for an affecting and tragic aftermath. Sean’s tentative effort, from his cell, to talk to Arlene in the wake of the murders was a deeply human moment. The impetuousness of youth can still be tempered by the profundity of loss. Unfortunately, Ben Burke isn’t quite as understanding this week. When Amy suffers her hemorrhage, Ethan’s son is all too happy to lash out, prodded along by the manipulative machinations of Mrs. Fisher. He’s angry, and hurt, and he’s been convinced that it could all have been avoided if his dad had acted otherwise. Standing in front of his classmates, Ben parrots the party line of his school, endorsing the “clear and severe” school of thought. “My dad failed this town,” he says, elevating his own loss to the level of the universal. Even the security guy back in Pilcher’s bunker looks worried. Clearly, there aren’t many cameras inside that school. But fear is driving almost everyone this week. With good reason: the truck-sized hole in the security wall almost allowed Abies to run wild through Wayward Pines. (Ethan’s shooting of the tires was a clever and visually inspired bit of action.) Pam, no longer being spoken to by her brother, slips Theresa a security clearance, for fear that without it, she won’t be convinced of the truth. Harold gives up all 14 of his companions, fearing that Ethan might actually be telling the truth. And Ethan lies to Pilcher, fearing the town patriarch is as much of a threat to its citizens as the creatures beyond the wall. Worst of all, it’s the truth itself that Pilcher fears. Adam Hassler returns this week, not as a secret member of Wayward Pines’ community, but as a tragic piece of evidence that confirms the truth to Theresa, Kate, and anyone else who sees his video transmission. Hassler was one of the first ones brought out of hibernation, and sent on a reconnaissance mission. His findings? There’s no one left. The ruins of San Francisco behind him, Hassler reports what we suspected: There’s no one else out there. Wayward Pines is alone. And, as Theresa tells us, there are hundreds of these tapes, the results of search parties hoping to find some sign of human life outside the walls. Hassler’s search may have been in vain, but his report wasn’t—it was the proof Ethan needed. If only that proof had come earlier. Pilcher’s megalomania has lost any of the things holding it in check: Ethan, Kate, even his own sister, who must have been the final bulwark against his tendencies for years. So we end this episode in much the same situation it began: with Abies at the wall, no longer prevented from gaining access to the town. Only this time, everyone isn’t joined together trying to keep them out. Pilcher wants them to come in, like a cleansing fire, and wipe away the people he can no longer terrify into submission. 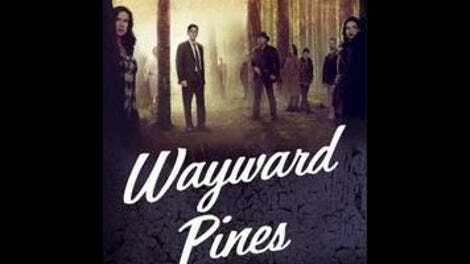 Wayward Pines now seems like an aptronym: a place where things can’t be controlled, or predicted. David Pilcher doesn’t deal in uncertainties. Which is to say, human existence isn’t working for him. Congratulations, everyone who noticed last week’s foreshadowing about Amy. I’m not sure she’ll die, but that no longer feels like it’ll be a factor in Ben’s actions. There was a nice beat tonight, when Franklin was pacing in his cell, convinced Ethan was going to kill them all, despite Kate’s assurances. The cross-cutting was sharp and effective. Which—again—makes me want to compliment Antal for such assured direction. This show’s strategy of hiring smart indie directors has really paid off. Next week’s posting will be later than usual. Fox isn’t providing screeners of the finale, so I’ll be watching and biting my nails with the rest of you. I’ll try and post an initial review of the episode as quick as possible, and then update it into the night as I evaluate the various threads of this addictive and immensely entertaining series.